How far can your love for telling the truth go? How much truth can people stomach? What is truth and when is it actually more merciful to obfuscate and tell a lie?And finally – where will it leave you if you tell the truth all the time? It seems Moliere, under patronage from a few aristocrats and well equipped by the royal court (he was even allowed to use rooms in the palace appointed for performances), was quite fed up with the hypocrisies of that same aristocratic society when he wrote this play i n 1666, trying to make the court see just how vain and false they all are. In the play Misanhrope Alceste always tells the truth – not caring if he is hurting people or just destroying his life at court. Even when he falls in love with the beautiful young widow Celimene, he has to tell her just how much he despises her behaviour at court as she is flirty and enjoys quite a few suitors at the same time. When Alceste mocks the badly written sonnett of a powerful and rich courtier, he is charged, sentenced and humiliated and decides to go to exile. But Alceste’s truth is just the truth as he sees it – and his belief that he has seen through all the lies at court takes a blow when he realises that his beloved Celimene, who had kissed and sworn to love only him, had instead written identical love letters to all her suitors. Not able to cope with her lies but still in love with her, he asks her to follow him into exile. The play – now rated as Moliere’s best – was not a success when it was first performed – audiences complained that Alceste is made to look like a fool on stage. And that was one of the things I didn’t like either. Even though Ben Carlson tried hard to make Alceste believable, the character given by Moliere still makes you think: well, would it have been so hard to bend a little? Which is probably exactly the opppsite of what Moliere tried to achieve with the play. 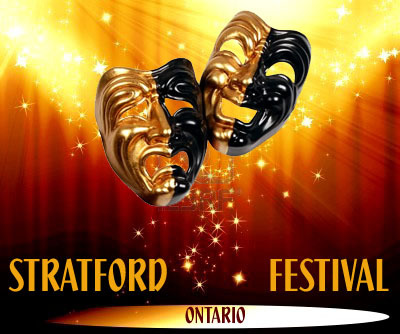 This entry was posted in Stratford Festival Ontario and tagged alceste, ben carlsson, canada, misanthrope, moliere, Ontario, Stratford Shakespeare Festival. Bookmark the permalink.